CREED is a modern-day thriller about political ambition, sexual abuse, greed and oppression. It's also about friendship, young love, and healing across religious and cultural barriers. Set in New Mexico and Morocco, readers will agonize over systemic corruption and injustice. But, will dissect the truisms of the Camino Sagrado as they bear witness to its spiritual bearing and assess its relevance in their own lives. **The publishers weekly review was written based on a manuscript version and not the published version. Shah Peerally’s new book, “The Immigration Lawyer Asylum,” seems to have all the ingredients to keep the reader captivated including drama, action, suspense, and law especially how a US immigration court operates. The story revolves around an immigration lawyer, Sarah, who gave up on a lucrative career as a corporate lawyer to become an immigration lawyer. With all good intentions, Sarah take the case of Ahmad, a potential refugee from Iraq. Ahmad is arrested at the San Francisco airport and placed in removal proceedings (deportation). Little did Sarah know what she was expecting, from a broken immigration system, a delayed immigration court, and attacks on her person, Sarah is all that stands between Ahmad certain death of returning back to Iraq. Threading Isidore Farrugia is a cop, brought up during the Years of Lead, a horrific period in Italian history, a time of terror and killing, his childhood memories, scarred forever by the brutal death of his mother. Nevertheless, he is a good man, loyal and protective of his friends and colleagues. This is why although off duty and out of jurisdiction, when his friend Bianca arranges a meeting with her informant, Charles Brooks, he insists on coming too. However, soon his onlooker role changes, when the young 23-year-old American, Bianca came to meet is killed, and so are his assassins. Then another murder takes place, and the Italian police investigators find themselves unearthing a web of political intrigue. Bianca has a secret though, she knows, she must uncover the truth behind the information she has been entrusted with, despite warnings from her mysterious online contact Loki, to stay away. Adastra, a weapons manufacturer is hiding something... But what? 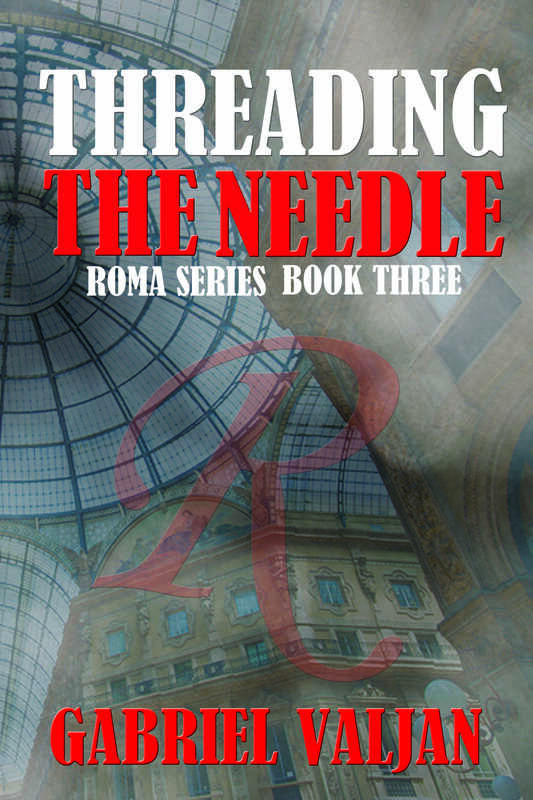 I found myself hooked, right from the start of this brilliant, action packed, political crime thriller, which is set in Milan. For those, like myself, who are interested in history, the Afterword about the Years of Lead by Claudio Ferrara was very interesting. The author Patrick Brigham writes good murder mystery books, many of which are set at the end of the Cold War and Communism. Featuring police detective Chief Inspector Michael Lambert, he is often faced with political intrigue, and in order to solve his cases - which partly take place in Eastern Europe and the Balkans - he needs to know how an old communist thinks, during the course of his investigations. There are few good books on the subject of international crime, especially mystery stories which delve into the shady side of Balkan politics, neither are there many novelists who are prepared to address mystery crime fiction, like the author Patrick Brigham. As a recently seconded officer to Europol, the new EU police force, C.I. Michael Lambert brings a new slant to European crime fiction. Eighty-seven year old Geoffrey Compton is found dead in his home, the result of an apparent suicide. However, his son Benjamin suspects there was more to his father's death and hires maverick ex-cop Sam Carlisle to investigate. Sam discovers a number of Geoffrey's old acquaintances have also passed away recently in suspicious circumstances, leading him to believe somebody is exacting revenge on these people, snuffing out their lives in the most calculating manner. To prevent more fatalities, Sam must trawl the past and find the cause of this twisted retribution, putting himself on collision course with the elusive figure responsible. The follow-up to A NEW DAWN RISING sees the return of former undercover cop Sam Carlisle, free of his demons, tackling his first mystery as a private eye. As well as investigating Geoffrey Compton's death, Sam also finds himself trying to protect a friend from her vengeful ex. 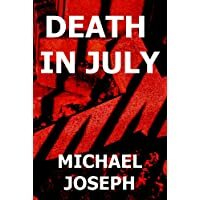 Sam is stretched to the limit in DEATH IN JULY, juggling two separate cases full of intrigue and danger. The following is the book trailer for the Christian thriller entitled Heart of Terror. The Midwest Book Review said of the book: "Heart of Terror is an exciting twist of thriller and faith, very much recommended reading." 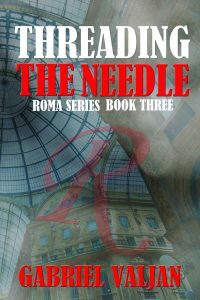 The novel is available as an ebook as well as in hard copy from amazon.com and from the Barnes and Noble website.